A common concept of “world music” is archaic instruments laid out on rugs where shoeless individuals sit and play instruments you can’t find at your local Guitar Center. But the truth of world music is a tapestry of eclectic visions poured out in languages not common in major films, embracing light in a darkness where colors spin in a majestic show of brilliance, all while spanning the globe from note to note. This truth is the truth of Idan Raichel. This truth is And If You Will Come To Me. 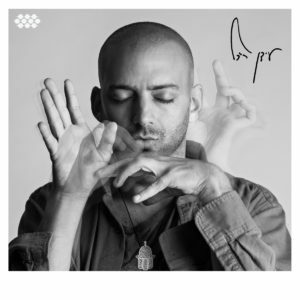 Three years after shelving The Idan Raichel Project, the fourteen-piece ensemble that aided in propelling Idan Raichel to the musical stratosphere, Raichel’s project of personal prowess and vision emerges in the form of And If You Will Come To Me. The grandeur of past albums, more specifically of The Idan Raichel Project, has shifted to allow a more humbled reflection of a visionary artist, ultimately culminating in ten beautiful, individual journeys. Firmly planted in the sound many have come to love from Raichel in years past, Come To Me embraces an intimacy that goes beyond language and crafts a sound that reaches out to you in a way that requires no words. Spanning influence from Africa, Cuba, and Israel, Raichel found a blend of cultural arc that is mind-bending and, plainly put, stunning. I’d argue this is best found in “Beresheet (In The Beginning)” where Idan Raichel reaches out into the audible void and gently lifts us to a place that is embracing, majestic, and vivid; a theme felt throughout the record. Idan Raichel is in a position where he could, quite possibly, reach out to the corners of the world and construct an overproduced masterpiece featuring some of the most talented individuals. And If You Will Come To Me includes many of these brilliant individuals, but repels any pretense or overproduction. The end result of And If You Will Come To Me is an eclectic collection of ten minor masterpieces. In truth, this is the kind of album that will likely redefine the idea of world music to a great many. This entry was posted in Reviews and tagged album, And If You Will Come To Me, Cumbancha, Idan Raichel, Project, record, review, stream, World Music by Greg. Bookmark the permalink.